ICE’18 is in less than three weeks! Have you started planning your trip, searching online what to do in your free time, have any expectations already? To be sure that everything goes smoothly and that you do and see as much as possible, we made a small guide for your trip to Zagreb. 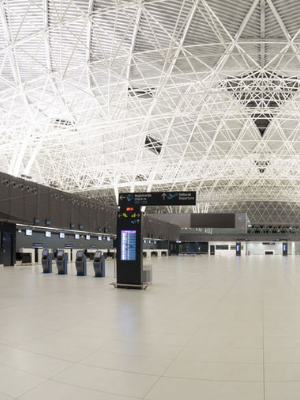 If you are arriving to Zagreb by PLANE, you will be landing at our new modern airport – Franjo Tuđman International Airport. Did you know that Franjo Tuđman was Croatia’s first president after its independence from Yugoslavia, from 1990 to 1999. Anyways, once you arrive to the airport, you will be welcomed by our beautiful staff and our transfer vehicles which will take you to the Sheraton Hotel. If you will not be taking our airport transfer services, you can take a cab from the airport too as well as Uber. Please note that the airport transfers are only for the Sheraton Hotel. If you are arriving to Zagreb by CAR, there are several entrances to the city. Depending from where you will be coming from, all entrances to the city are a good option if you are going to the Sheraton Hotel. If you are arriving directly to the Arena, then the best exit to take is Zagreb Zapad – Lučko (Zapad means West). 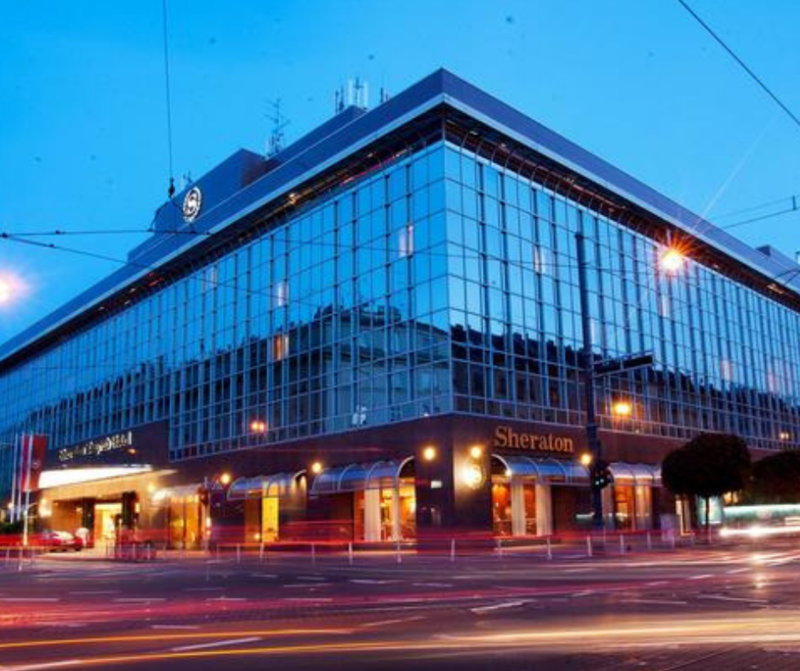 ICE participants have special discounted prices to stay at the Sheraton Hotel. The hotel is located in the city center of Zagreb, making all the interesting Zagreb places easily accessible by foot. Since you will not have a lot of time to explore Zagreb, staying in the center will give you the opportunity to explore bits of it during your free time. It is surrounded with beautiful parks, amazing restaurants, the main square is just 5 minutes by foot, and the ICE ROCKS party in Opera Club is also 5 minutes by foot from the hotel! The Sheraton also have great saunas and wellness where you can relax after a busy day in the Arena. *Daily transfers to the Arena are only possible from the Sheraton Hotel. 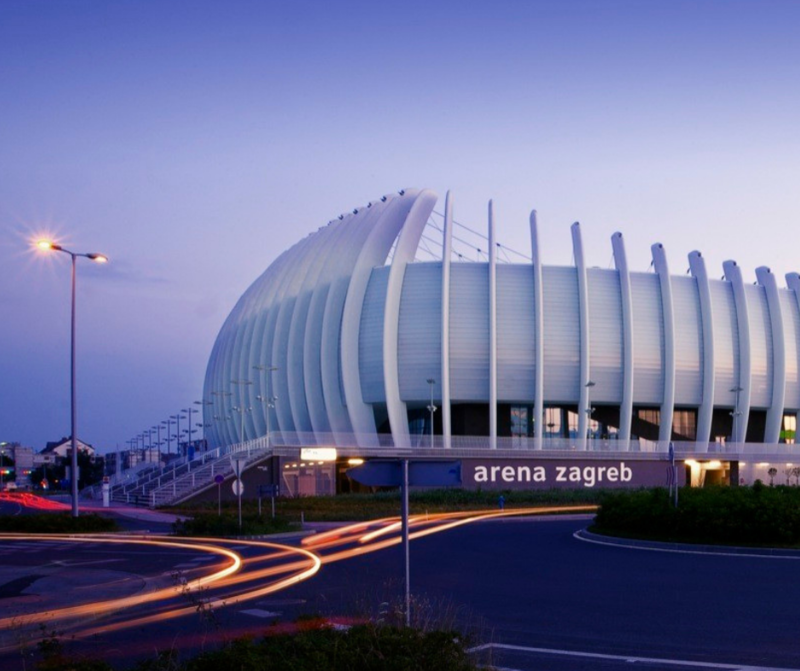 The Zagreb Arena is located on the south-west side of Zagreb. By car from the hotel, it takes about 15 minutes. If you are staying at the Sheraton Hotel, you will have the option to take our daily shuttle services so you do not have to worry about getting there by yourself or about parking. Shuttle service can be ordered on your MyICE account if you do not already have it. To get the the Arena, it might be a bit complicated as the main roundabout in Zagreb is being renovated, so you might have to follow some orange signs with the word ‘Obilaznica’, meaning detour when you get close. We will provide you with all information and directions on how to get there if you need it. IMPORTANT: If you are coming by car, you will need to leave us your car plates numbers too, otherwise the security will not let you in. Please send an email to info@internationalcharterexpo.com and have the subject: Car plates – write us which car plates numbers, and the people who will be coming in the car too. The Opera Club is located in the center of Zagreb in Petrinjska Street. 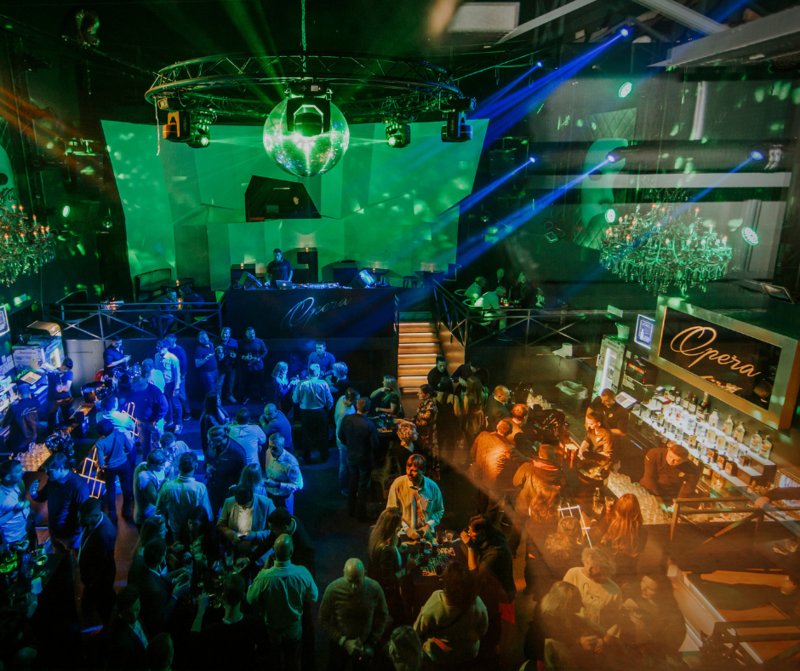 It is the club where the ICE ROCKS party will be on Friday November 2nd, starting from 8pm. What better way to make new friends than at an amazing club with an open bar. Use this opportunity to meet and socialize with ICE participants in a relaxing and non professional atmosphere. It is also very close to the Sheraton Hotel so you can walk there. The theme this year is 007 James Bond, sponsored by Frauscher Boats! Make sure to dress to impress! See how it was previous years on this link. Zagreb is a small city with no more than 1,000,000 people, but it is rich in things to do and see! We have chosen 5 top things which we strongly recommend to visit in your free time – all of these are near the city center and your hotel. 1. Zagreb Cathedral: It is a Roman Catholic institution and the tallest building in Croatia. It is beautiful and even though it is being renovated, it is something you must see and enter. 2. St. Marks Church: It is the parish church of Zagreb and records state that it has been built in the 13th century. The church is mostly recognized by it’s unique roof. 4. Gornji Grad: The upper part of the city center is something you should walk up to. By going up there you will see what Zagreb looks like, you will have a beautiful view of the cathedral and it is just a view to take many pictures of. Location: Type Gornji Grad on Google and you will find it. A bit west and above the main square. 5. Museum of Broken Relationships: If you would like to see some kind of interesting and unique museum, then we suggest the Museum of Broken Relationships. It is located on Gornji Grad and it is different from other museums. It is a museum located in a baroque palace displaying personal objects from former lovers with explanations.